The Poetry Book Society is a unique poetry book club founded by T S Eliot. 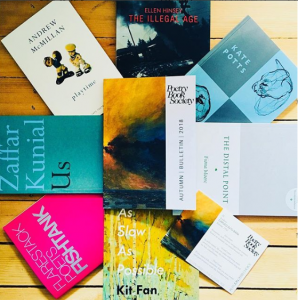 Our quarterly handpicked poetry parcels and collectable Bulletin magazines are perfect for poetry fans. The PBS Autumn Bulletin is out now and there are so many great poetry books to look forward to this season. Thought-provoking and unsettling poems about the darker powers at play in the world today. This is powerful poetry of resistance and witness for our increasingly illegal age: “remember in the ink light of testimony – a record may still be kept”. A striking debut from a York based Northern Writer’s Award winner. Written with luminous lyricism and dream-like lucidity, “my mind hiding in the thicket of a burning tree”, East and West collides with Chinese Genesis myths, transmigration and haikus. These risqué and raw coming-of-age poems might not be everyone’s cup of tea but the poet’s heartfelt honesty and tender wit cannot fail to win you over. This is a visceral and intelligent exploration of masculine desire in its many forms. Don’t miss Andrew performing at Durham Book Festival on the 14th October. An elegant and elusive debut which balances loss against survival. Each poem is poised, as if seeking that “distal point”, the furthest stretch of land, and waiting for the tide to turn. Yorkshire based Kunial shapes each poem with careful precision, conscious of the weight of each word and every single letter. Usis haunted by childhood memories, split identities, from Kashmir to the Midlands, and the urgency of uncertainty. Catch Zaffar reading with PBS Spring Choice Sophie Collins at Durham Book Festival on the 7th October. 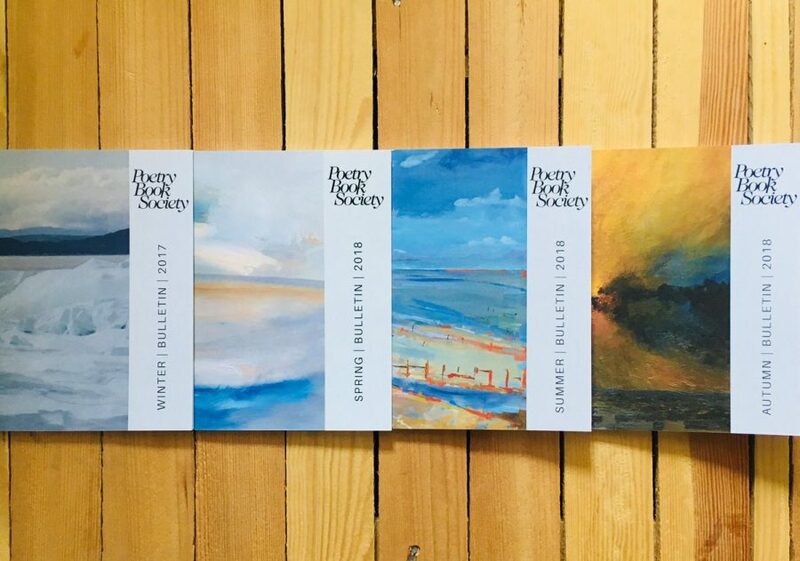 *The PBS New Horizons cover series is now complete, so you can collect all of four of our beautiful new-look PBS poetry magazines today!